Fig. 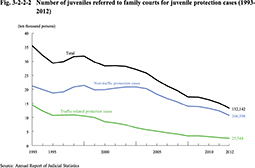 3-2-2-2 shows the number of juveniles newly referred to family courts for juvenile protection cases over twenty years. 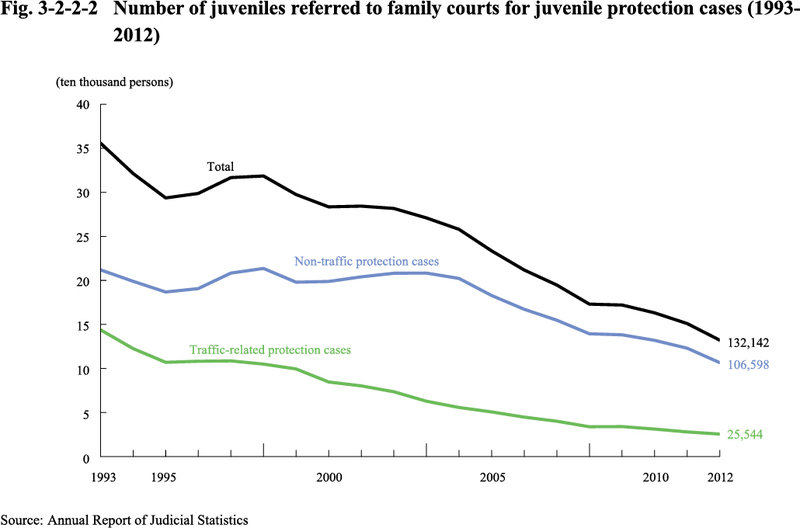 See Appendix 3-10 for the number of juveniles whose cases were conclusively disposed of by type of delinquency and type of disposition.